Each year, more and more vehicle manufacturers are specifying beam blades as original equipment. 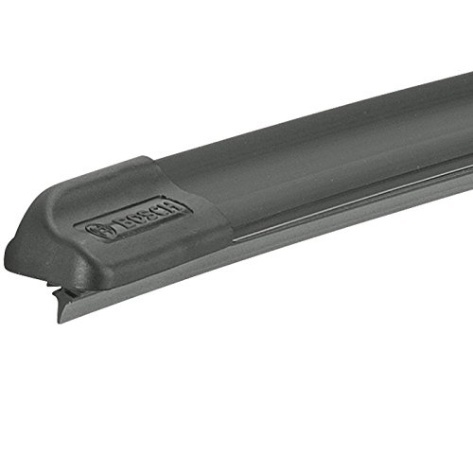 Beam (or flat) wiper blades are designed without metal or plastic brackets, joints or hinges, offering design and performance improvements over conventional wiper blades. The award-winning design of Bosch ICON distributes more uniform pressure along the entire length of the blade for ultimate all-season performance that lasts up to 40% longer than other premium wiper blades. 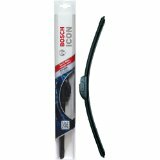 Bosch ICON is the perfect choice for your wiper blade replacement needs. The ICON's exclusive fx dual rubber compound with Quiet Glide micro-finish wiping edge delivers a superior wipe with up to 40% longer performance life than other premium blades. Its smooth, quiet operation is the result of a specially blended rubber flex element the resists heat and ozone deterioration to remain flexible in all weather conditions. For the best performance at high speed, ICON incorporates an asymmetrical and aerodynamic flexible spoiler that distributes uniform downward force along the entire blade to hold it firmly to the windshield. The result is optimum visibility in the worst weather. Exclusive tension spring arcing technology creates a fit that's custom-contoured to the curvature of each side of the windshield for a customized precision fit that yields top performance. The exclusive pre-installed weather shield connector system makes for easy installation and protects the arm connection from ice and snow build up, with no adapters required. 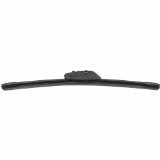 Beam wiper blades, also known as bracketless blades, are designed without metal or plastic brackets, joints or hinges, offering design and performance improvements over conventional wiper blades. 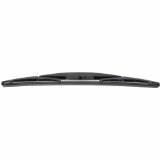 Beam wiper blade technology is the new standard in original equipment wipers. Each year, more and more vehicle manufacturers are specifying beam blades. The Bosch ICON OE beam technology brings you this new design as an upgrade to the conventional wiper blades on your current vehicle.